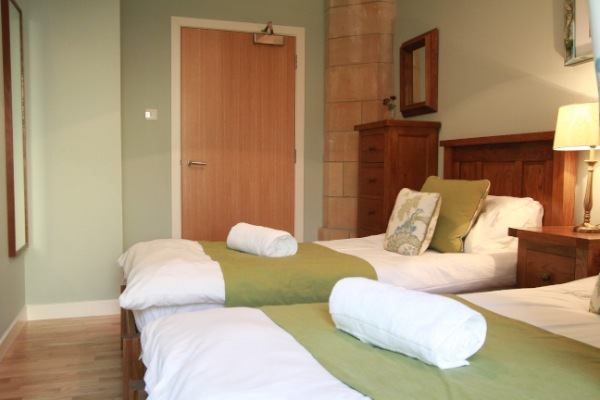 On the ground floor of the original Church Building where you have direct access to the Abbey building and available facilities. 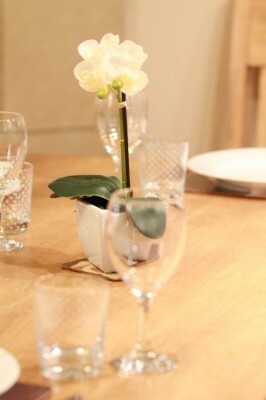 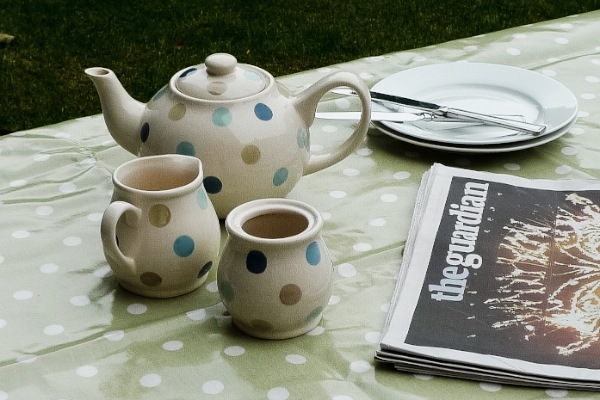 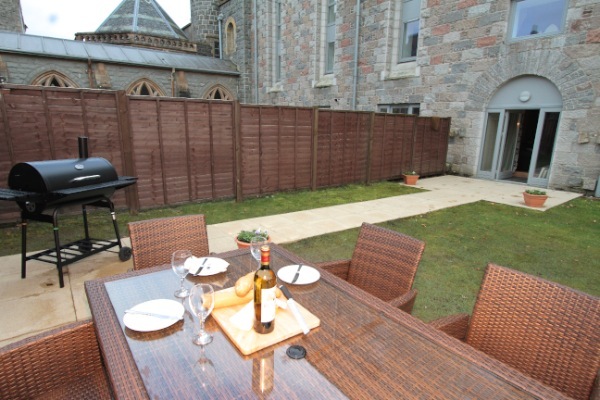 Free WI-FI is also available in the Abbey Garden apartment. 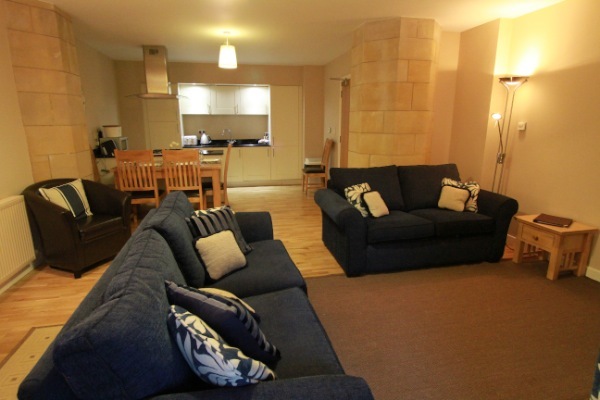 Beautifully decorated and lovely spacious apartment for your stay at the Highland Club. 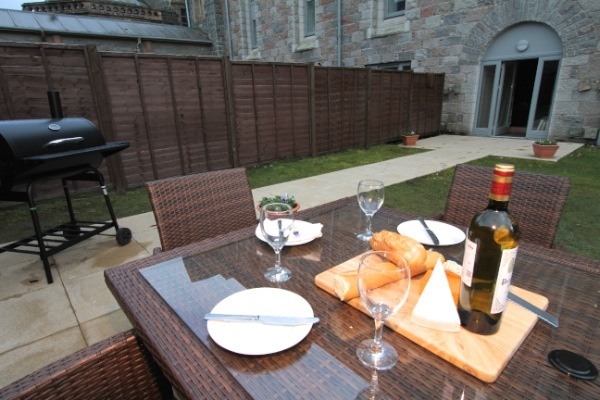 A superb place for a barbecue with a patio area with table and chairs. The garden has its own external access but can also be accessed from all of the rooms in this very well equipped apartment. 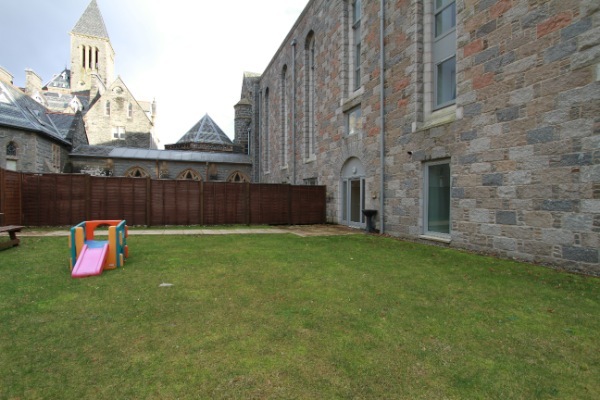 The Cloisters walkway links the Church with the rest of the Monastery building and all of its facilities. 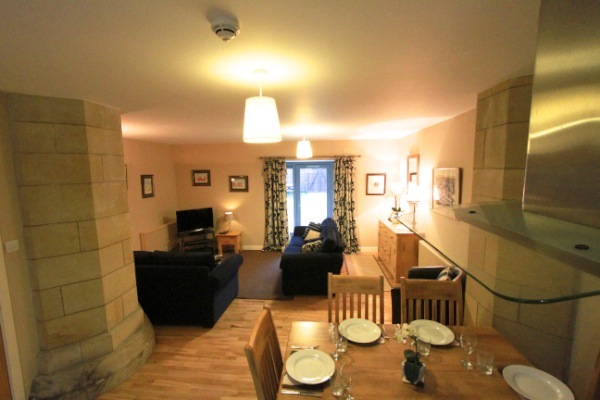 The Abbey Garden apartment has beautiful original pillars throughout the property, it has 2 bedrooms but will accommodate 6 with the use of a comfortable double sofa bed. 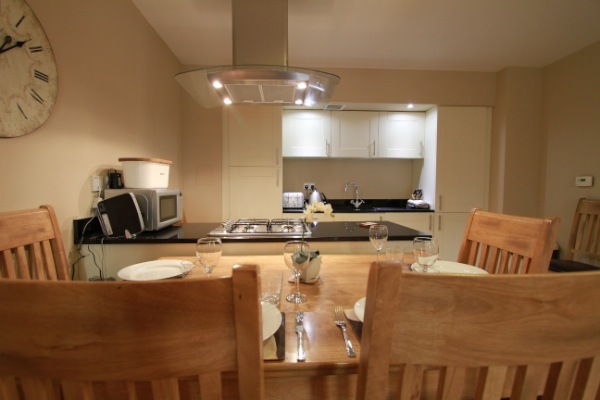 The large open-plan living area has a stylish kitchen with its granite worktops and is fully fitted with electric oven, gas hob, dishwasher, microwave, washer/dryer and a full compliment of high quality kitchen equipment and utensils. 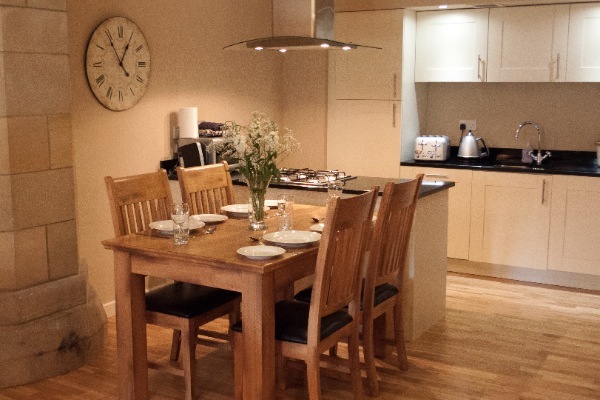 The living area incorporates stylish wood flooring, set off beautifully by the oak dining table with seating for up to 6 people. 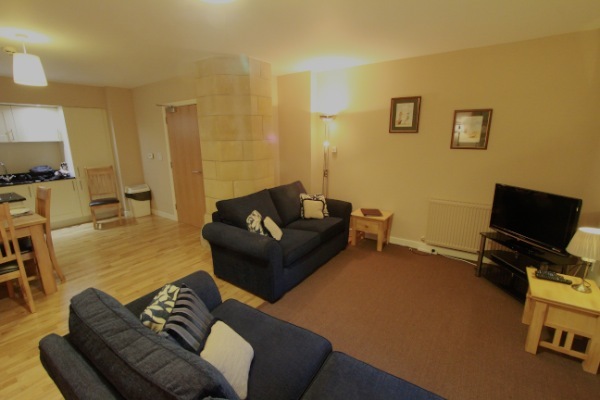 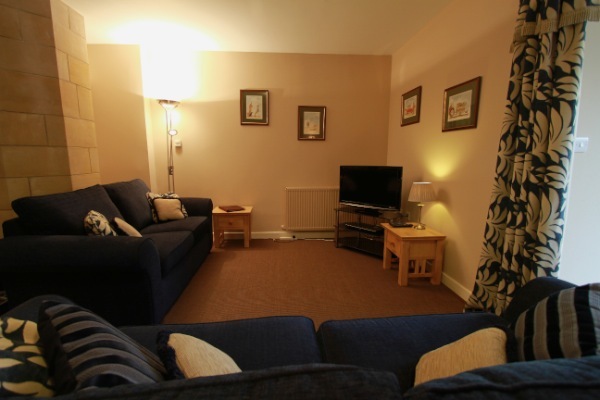 There is a spacious lounge area with comfortable seating, flat screen TV with freeview, DVD player and IPOD Doc. 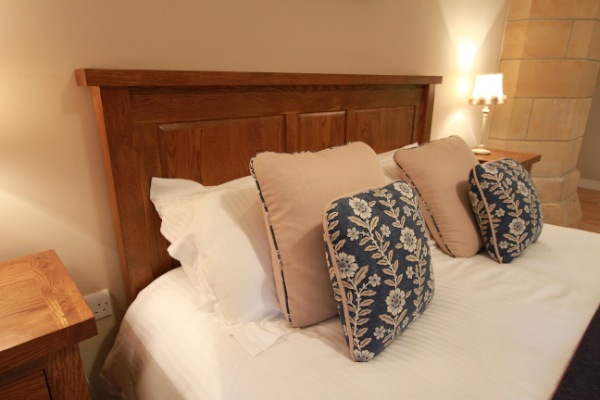 The very large master bedroom has a beautiful wooden king size bed, built in wardrobe and high furnishings. 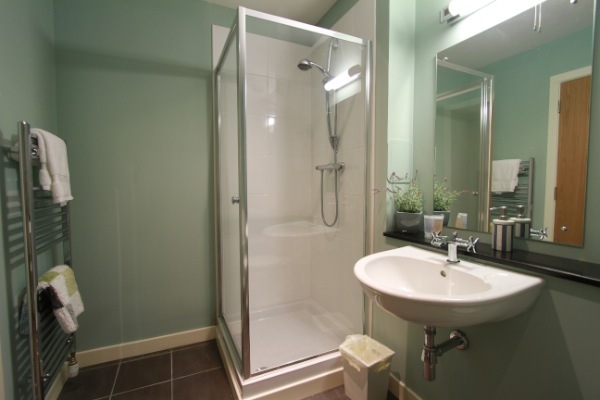 This leads to the en-suite bathroom where you will find both a bath and a separate powerful shower. 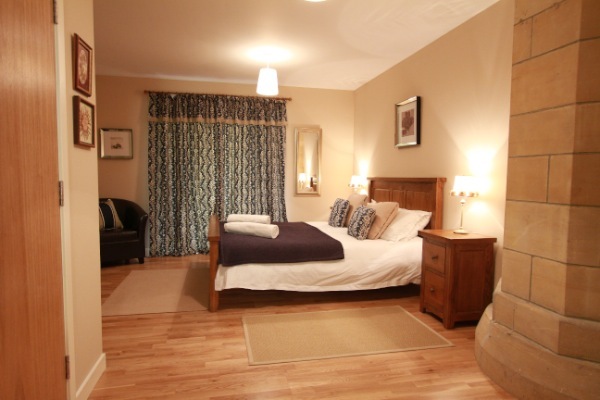 The twin bedded room has a solid chest of draws and an adjacent bathroom with a second shower. 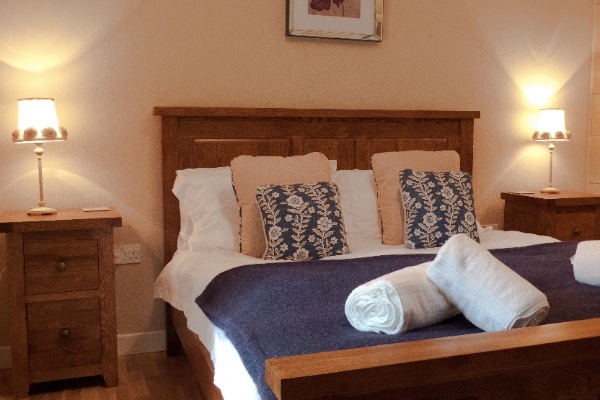 All quality towels and bedding are provided. 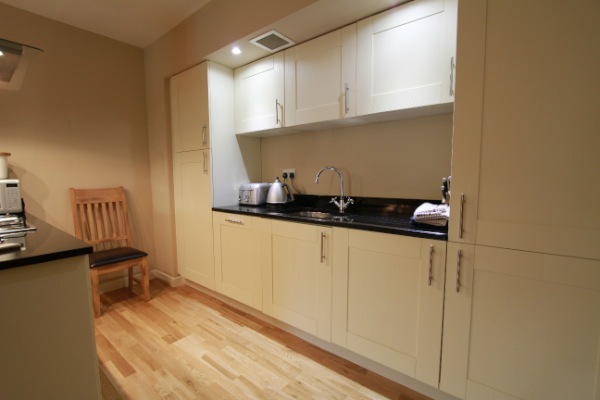 Cot and high chair also provided. 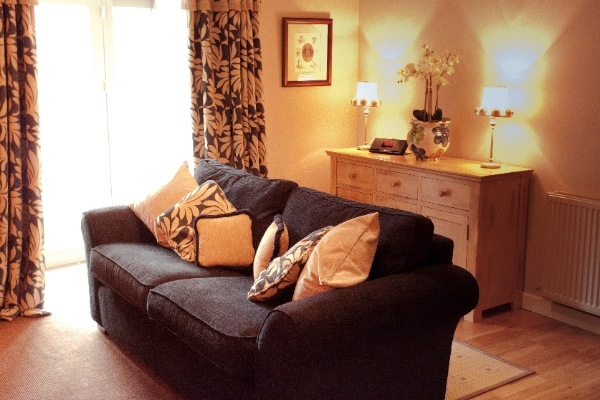 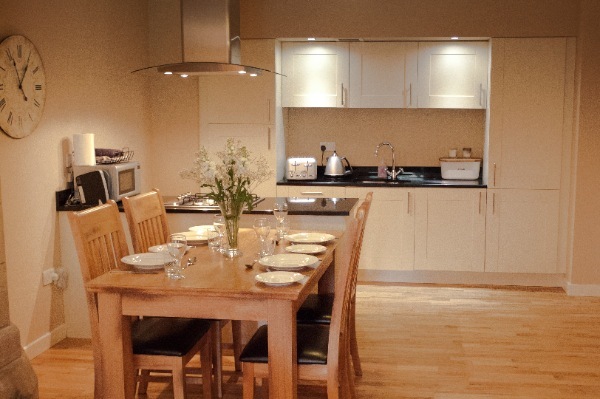 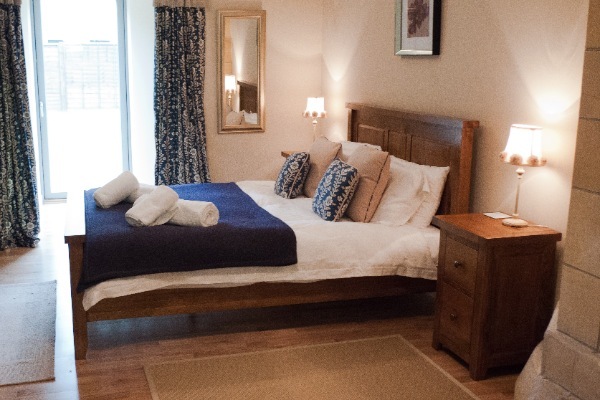 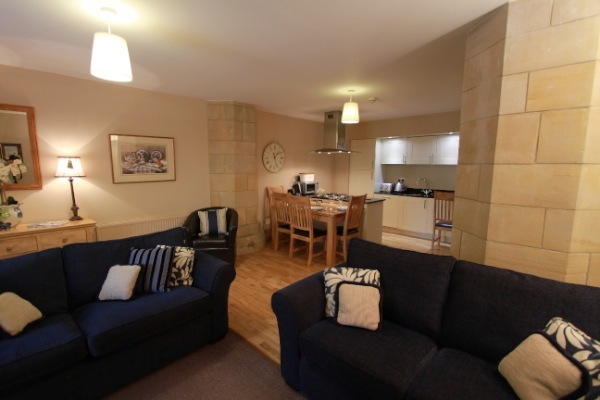 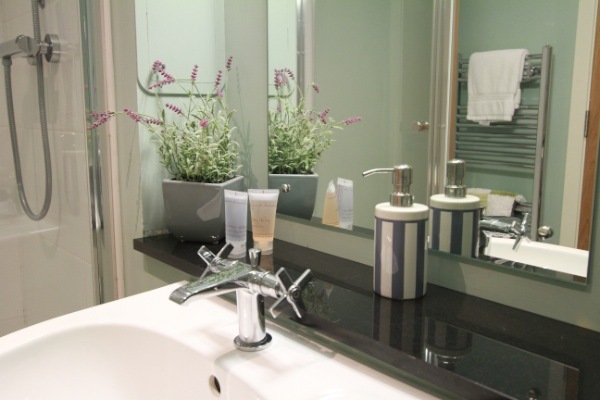 As with all our self catering apartments it benefits from the use of all of the facilities at the Highland Club. 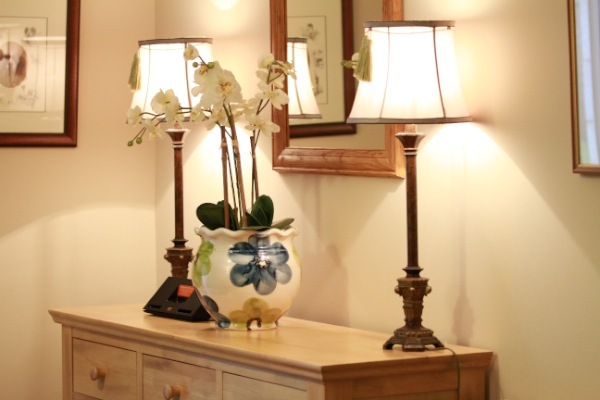 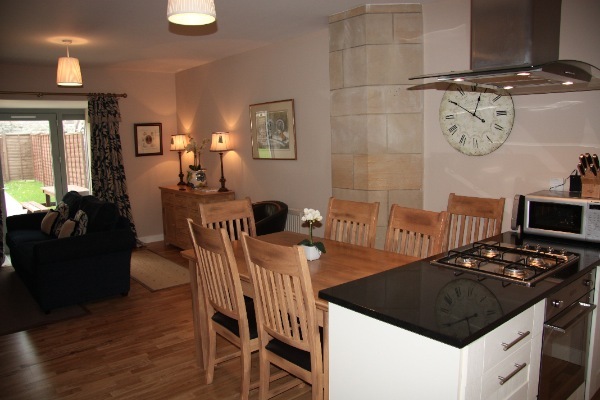 This beautifully decorated apartment is on the ground floor of the Church building. 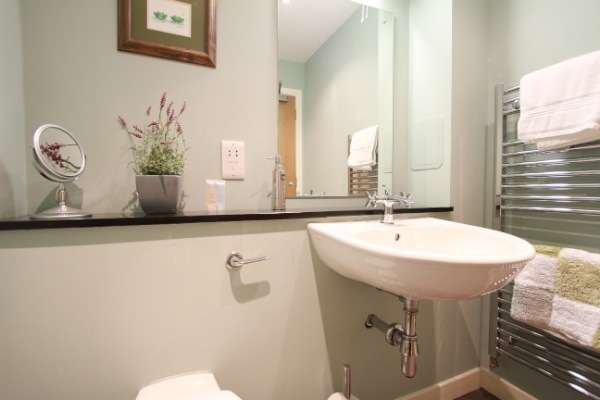 Perfectly positioned for use of the pool and spa facilities. 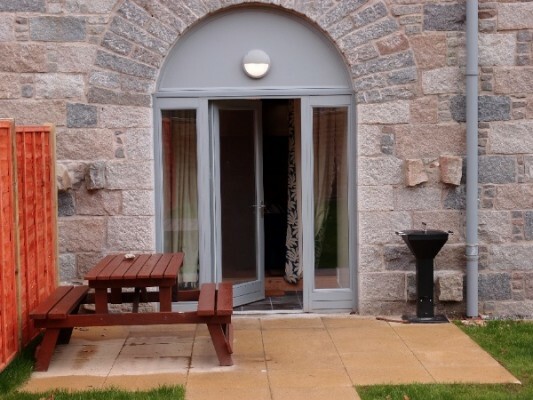 There are doors from all of the rooms in the apartment out to a large private garden. 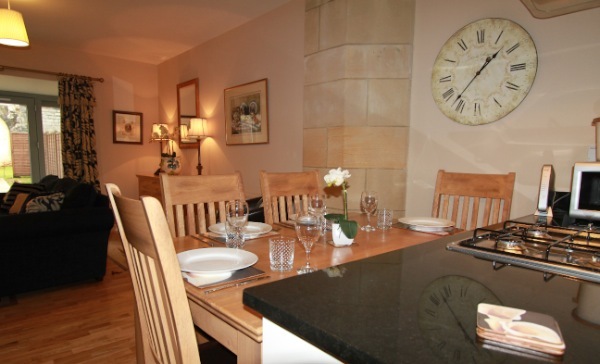 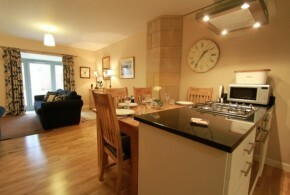 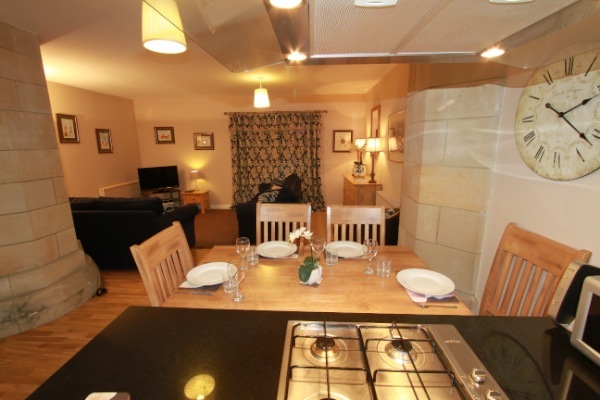 Awarded 4 star Self Catering by the Scottish Tourist Board.